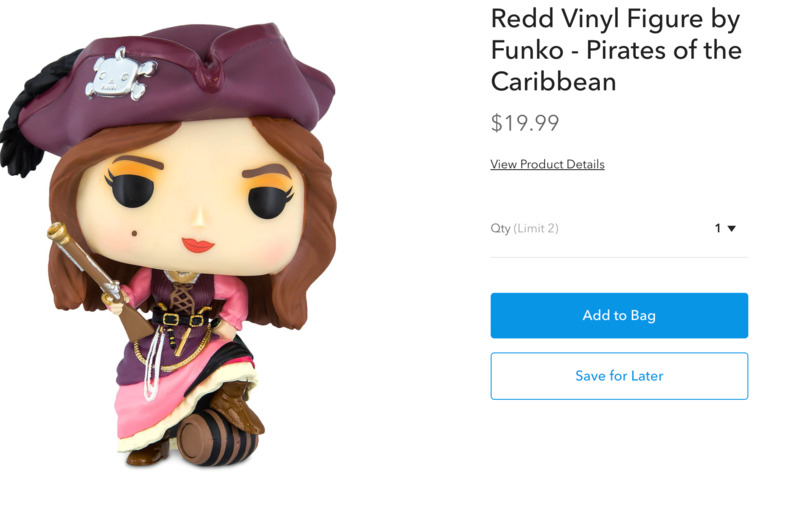 I was able to get my Redd Vinyl Figure by Funko - Pirates of the Caribbean before all the E-bayers bought them up this morning. Lucky I was at work over night and remembered they went on sale today. Way to go!!! Don't encourage me to start yet another collection! Joe might call you..or just send you a dead fish head. I know if I start looking at them bad things will happen.